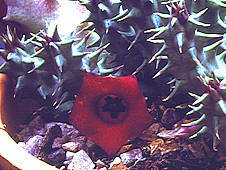 About two-thousand species of Asclepiadaceae are split into some 300 genera of which, about half are succulent. 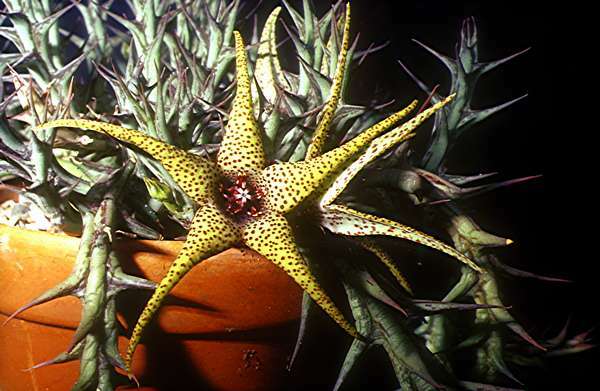 Numbers of species gathered from available literature are provided as a guide, but change frequently from botanical revisions or discovery of new species. The Asclepiadaceae were orginally included in the Apocynaceae by Jussieu (1789) but controversially split into a family of their own by Robert Brown in 1810. Following recent work on DNA analysis and other morphological studies, they have been merged back into a sub-group of the Apocynaceae. Most people seem to have accepted this revision, although only time will tell if it becomes a permanent change. 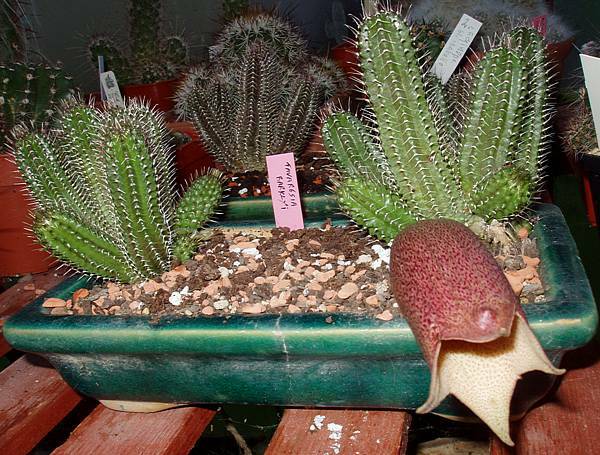 There is also a range of non-succulent asclepiads that are not eligible to be shown in succulent asclepiad or other succulent classes, but some of which may be of interest to Asclepiad enthusiasts. 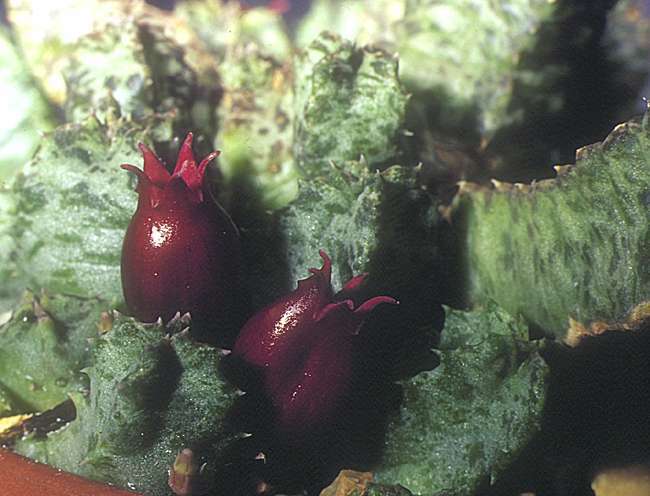 Species with large, unusual or brightly coloured flowers or prominent seed pods may be of horticultural merit.